Bringing The Sexiest and Flyest Kick Back Vibes To West Loop Chicago. 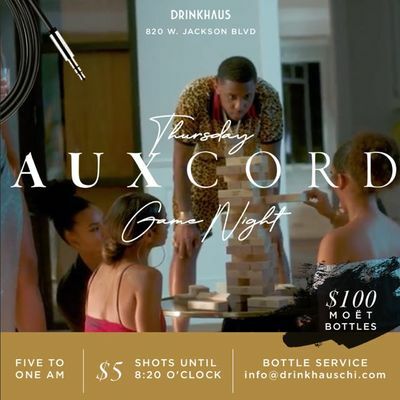 We'll have board games, card games, trivia and jenga all night, all coupled with your favorite tunes that you and our Aux Cord champs curate. If the fun chill vibe is your thing, then this is your night! Make your games more interesting with $5 shots and $100 bottles of Moet to celebrate.